We freely admit that we’re obsessed with skincare. Everyone wants flawless skin, and we’re willing to try every product in the world to make that happen. But not everything brilliant comes from a lab; sometimes Mother Nature really does know best, especially when it comes to skincare. Here are the 5 best all natural ingredients that you need to incorporate into your skincare routine right now. It’s in everything, and with good reason: colloidal oatmeal (which are oats ground very finely, and should not be eaten) is amazing at treating itchy skin caused by skin conditions like psoriasis and eczema, seasonal issues like summer dryness and bug bites, and minor concerns like flaky skin. It’s so effective that even the FDA recommends it. So if you need to soothe dry skin—and who doesn’t once in awhile?—this is the ingredient for you. Green tea has about a million health benefits, but it’s also amazing for your skin. Research has shown that the polyphenols present in green tea protect skin from UV damage, while also reducing inflammation and redness. And even more exciting recent studies have also shown that green tea may play a role in preventing the breakdown of skin elasticity—so if you want to have plump, firm skin forever, incorporating a serum with green tea in it may be a good idea. Naturally occurring in citrus fruits, vitamin C doesn’t just protect against scurvy: it also plays a key role in synthesizing collagen and protecting skin from damage caused by free radicals. Also known as ascorbic acid, it’s a shown wrinkle-fighter and scar reducer—aka, your skin’s new best friend. A caveat: some studies have shown that vitamin c creams and serums can make skin more prone to burning, so always use a moisturizer or suncreen with SPF of 15 or above. It’s not just a candy of questionable tastiness; licorice extract has major skincare benefits. If you’re looking to get rid of hyperpigmentation—like from acne scars, freckles or sunspots—you want licorice extract. Gentler than a retinoid and with none of the peeling effects of a glycolic acid, licorice inhibits melanin production; some studies have even shown that it helps lighten dark under eye circles. Sign us up! 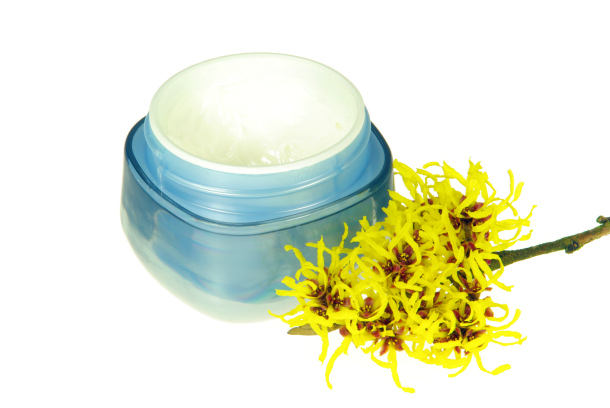 Raise your hand if your grandmother ever told you to use witch hazel after your shower to ensure healthy, gorgeous skin. Well, it turns out she was onto something: witch hazel balances oil production, reduces redness and gets rid of swelling, all at the same time. It’s nature’s perfect natural toner, as it’s tough enough to remove makeup and grime without stripping skin of the oil it needs to function. More from Daily Makeover: The Benefits of Adding a Serum to Your Skincare Routine.